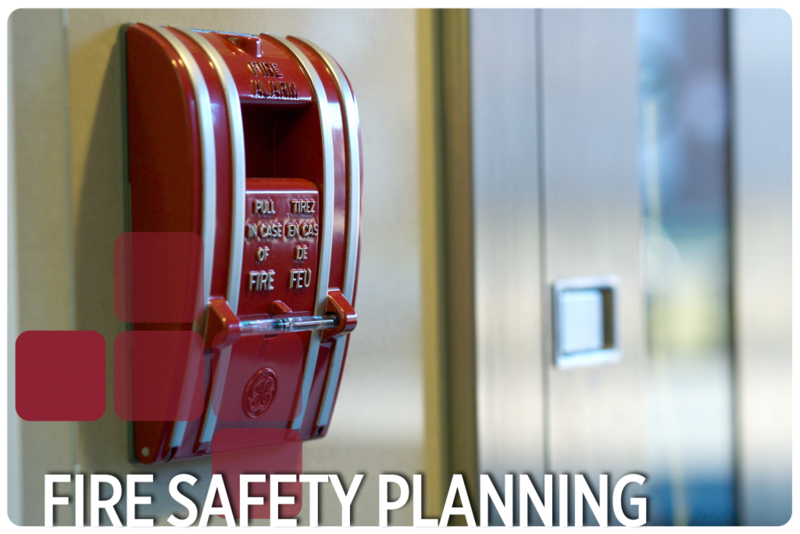 A fire safety plan is a complex document, often required by law, that describes the procedures for preparedness and response to fire emergencies. High-rise buildings, hospitals, hotels, warehouses, and most buildings with fire alarm systems require fire safety plans in Canada. RJ Bartlett Engineering Ltd has provided fire safety planning services to various facilities in order to meet current fire safety planning requirements as identified within applicable codes and referenced standards. Identification of a fire safety committee. Duties and responsibilities of the fire safety committee. The appointment and organization of designated supervisory staff to carry out fire safety duties. The training of supervisory staff and other occupants in their responsibilities for fire safety. Emergency procedures to be used in the event of fire emergencies. Methods for holding fire drills. A summary of relevant information to be provided to the local fire department. Identification of the controls in place for fire hazards. Fire safety systems description and requirements for inspection and maintenance of systems within the building. Conducting building audits to gather required information in preparing fire safety plans. Preparation of fire safety plans to address specific facility features. Providing training to facility personnel on implementation of the fire safety plan. Providing additional staff training specific to emergency procedures and conducting fire drills.